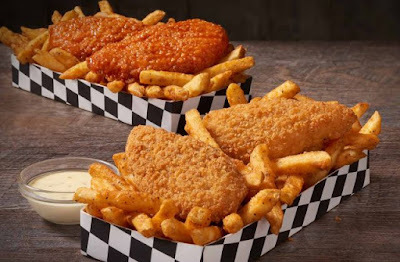 Checkers and Rally's latest $2 box is the $2 Extra Crispy Chicken Strips & Fries Box that's available for a limited time at participating locations. 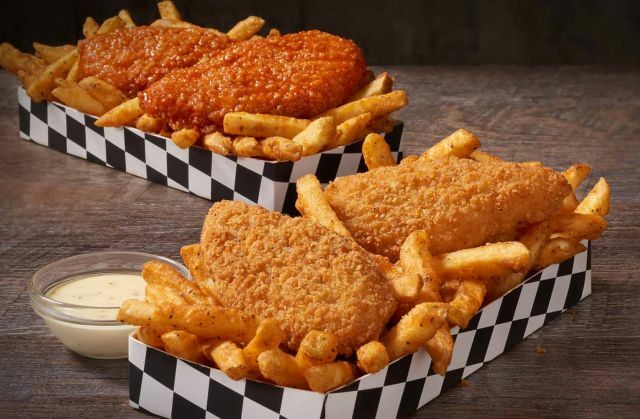 As you may have guessed by the name, the value-priced box comes filled with the chains' signature seasoned fries as well as two crispy chicken strips. The crispy chicken strips feature white meat chicken and come in Classic (plain) or Buffalo (coverd in Frank's Red Hot Buffalo Sauce) varieties. Photo via Checkers / Rally's.